Today Blockbuster Video filed for bankruptcy. This doesn't come as a surprise to anyone who saw this coming months, if not years, ago. Despite being firmly established in the movie rental business, Blockbuster's lack of innovation has opened up the way for two competing companies to wedge themselves into dominance. A while back, Blockbuster ventured into the "new game" of allowing customers to receive movies online and in the mail, essentially to directly complete with Netflix. 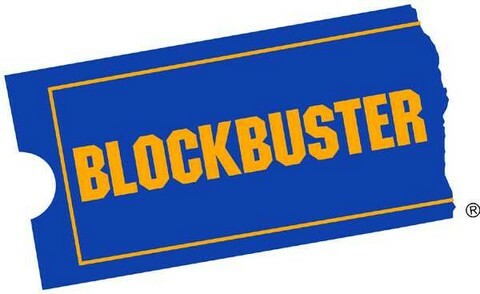 Blockbuster had the advantage of numerous physical locations where customers could exchange movies if they didn't want to wait for them to come in the mail. At first, I worried that this might cause Netflix to slip, but Blockbuster was unable to convince customers that their core competency in movie rentals transferred to this new arena. At the same time, Blockbuster's established core competency was attacked by Redbox. Kiosks became more and more ubiquitous, and the experience of renting became easier, faster, and cheaper. Redbox took the "old game" and improved it at Blockbuster's expense. In the end, Blockbuster failed to see the way rental behaviors were changing and failed to come up with appropriate solutions necessary to stay in the game. We'll see if they can make any changes as they close some stores and reduce debt. But it may just be too little, too late.